Offering customers with improved UX has always been a prime aspect for the online stores. It is very essential to put a friendly & easy navigational structure to allow the customers to reach out to their desire product or services. Over the time the navigation pattern has undergone major up gradation. From the simple static global navigation, where buttons on the bar would redirect to another page or additional list of menus to the cascading dynamic dropdown menus, where hovers over one of the items in that menu shows another menu with yet more options to get one level deeper. Now it has been time to get into Mega. These are the large navigation panel that appears on hover over global navigation bar. Unlike the flyout menus these allows you to move your mouse from one option to the next without any fear of pesky disappearing act. Talking about the most efficient e-commerce solution, Magento which is running the largest number of online stores has a facilitator “Mega Menu with Drop Down and Static Block” to bring a better user experience to their customers. Mega Menu with Drop Down and Static Block is a Magento extension that allows you to manage site navigation structure by categories & subcategories. This extension is available for Magento Open Source community edition. Great beneficiary for bigger sites who are using regular drop-down menus typically hide most of the user’s options. Management of White Space: Important to be thoughtful about the number, granularity and labeling of navigation options at each level. Imagery Illustrations: Use of icons or illustrations in mega menus will help users make navigation decisions. Distinct Design: Mega menu needs to have strong visual border to give a visually distinct impression to the users. 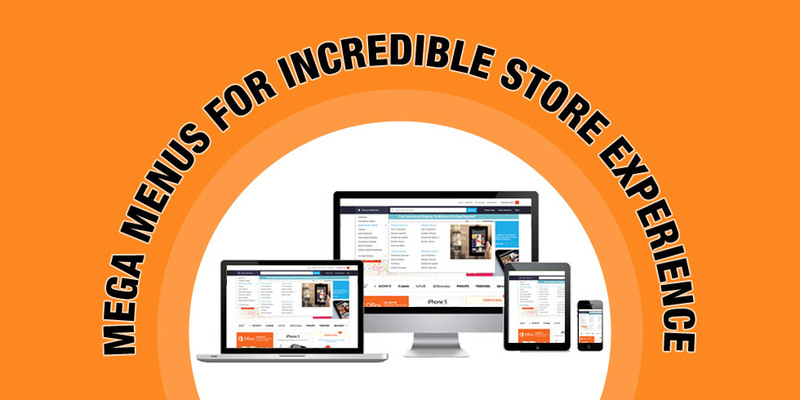 With soaring popularity of Magento stores its extensions community has been increasing its counter continuously. Providing a smooth & easy interface to customers to turn them into a potential buyer has been always a prime aspect of e-commerce market. Mega Menu with Drop Down and Static Block has been proved as one of the successful Magento extension in this direction. Mega Menu with Drop Down and Static Block extension is developed and maintained by Silver Touch Technologies Limited. It consists of a team of professional Magento developers and has contributed lots of extensions over the years.